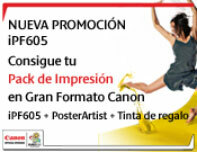 Papeles Sinteticos (Roll-Up) Bobina Syntetic PP Film Adhesivo. 240mc. L=30mts. SINTETICO PP FILM ADHESIVO 240mc. 60''(1524mm) L=30mts. PAPEL DE POLIPROPILENO CON COBERTURA SATINADA DE GRAN RESISTENCIA AL AGUA Y A LA ROTURA CON TACTO SIMILAR AL PAPEL, CON UNA PELÍCULA AUTO ADHESIVA PERMANENTE MATE IDEAL PARA TINTAS DYE Y PIGMENTADAS. PAPEL INDICADO PARA PROMOCIONES EN CENTROS COMERCIALES Y USO EN EXTERIOR HASTA 4 SEMANAS.